Update: Sold as of 2/11/16! 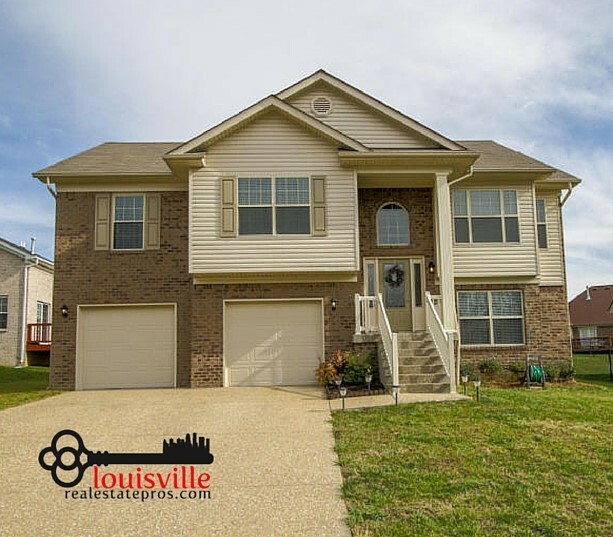 This 1,804 square foot home is not only a great find, but it’s also Move In Ready! With 5 bedrooms and two full bathrooms, there is plenty of space to make this home your own. Do you need multiple rooms for your growing family? Do you work from home and need extra space for a private office? What about a separate play room for the little ones? Whatever your personal situation, 278 Berger Farm Dr. could be the one for you! Planning to sell your home? It might be worth more than you think! The set up in the living room and kitchen is ideal for anyone who loves to entertain. An open flow sets the perfect scene for gathering with your family and friends during the holidays. Enjoy entertaining outdoors? A walk out, straight from the kitchen to the deck, makes enjoying a meal outdoors super easy. It doesn’t get much better than that! As for the Mt. Washington area, spend your time enjoy the beautiful outdoors. Bullitt County has some gorgeous parks to check out. What’s the best news? The garage here has plenty of space for all your outdoor gear. It’s an over-sized two car garage, so you can easily fit the largest SUV. You’ll still have room for your bikes, tools, or outdoor equipment. Spacious AND functional! Looking for a home similar to this one? Pam Ruckriegel with Louisville Real Estate Pros at Keller Williams Realty Louisville East can help you find your dream home today! 502-435-5524. Zoned B1 Commercial with residential use (managers quarters) location backs up to I-65 w/direct access to Hwy 61. Acreage to be verified at Buyers cost.